Hello? Hello? Customer service at the IRS hit new lows this year, just as taxpayers were grappling with a wave of identity theft and new requirements under President Barack Obama’s health law. A report issued Wednesday by the National Taxpayer Advocate says the IRS has been hampered by years of budget cuts, which have diminished customer service and hobbled enforcement. The timing of the budget cuts was bad, the report said. The IRS blocked nearly 1.6 million suspicious tax refunds this year because of concerns about identity theft — more than double the number from a year ago. About a third of the refunds turned out to be legitimate, but for long stretches during the tax season, fewer than 10 percent of callers could get through to an IRS help line. “For the majority of taxpayers who filed their returns and did not require IRS assistance, the filing season was generally successful,” said the report by Nina E. Olson, the taxpayer advocate. Overall, only 37 percent of people who called the IRS seeking to talk to a person reached one, the report said. That’s the lowest rate over the past decade, by far. For those who got through, the average time on hold was 23 minutes. About 50 million callers reached out to the IRS for help during the tax season. Help lines were so overloaded that the system hung up on 8.8 million callers, the report said. That’s a huge jump from last year, when the IRS hung up on 544,000 callers. For the first time, taxpayers had to tell the IRS whether they had health insurance the previous year. Millions who received government subsidies to pay for premiums had to report those on their returns. 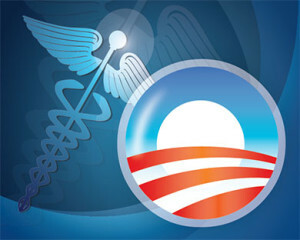 Through April, about 6.6 million taxpayers had to pay fines because they didn’t have health insurance, the report said. The fines averaged $190. Researchers identified more than 300,000 taxpayers who overpaid their fines, the report said. Most of these taxpayers didn’t owe fines because their incomes were low enough to qualify for exemptions. A total of 10.7 million taxpayers claimed they were exempt from the fines. Congressional Republicans have been at odds with the IRS ever since the tax agency acknowledged that agents had improperly singled out conservative groups for extra scrutiny when they applied for tax-exempt status during the 2010 and 2012 elections. Last year, the IRS approved 94 percent of applications for 501(c)(3) status, which allows donors to deduct contributions. The number of applications approved — 94,400 — was more than twice as many as the year before.